With full shine and brushed metal, Obie is full-on industrial chic. Whichever shade you choose, this lamp will be the perfect addition to your home. There's 3 bulbs and a full pivot function on the neck. Now you can direct your spotlight wherever you need and highlight your favourite pieces. Obie’s marble base looks luxe while being sturdy. 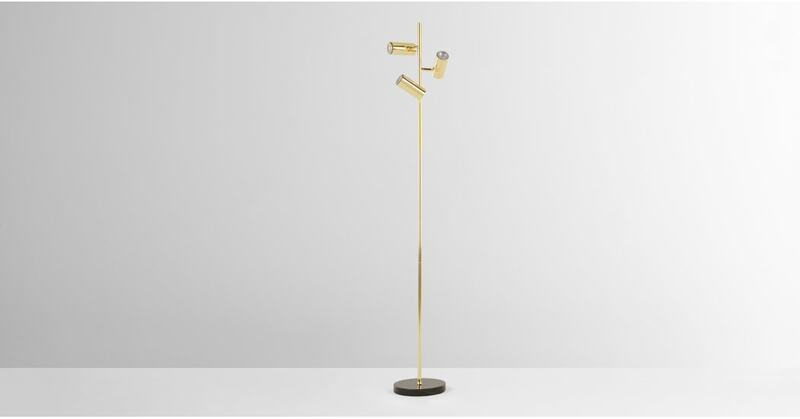 This floor lamp will make a statement in your reading corner.